Kansas guard Ochai Agbaji (30) gets on the floor for a ball with TCU guard Kendric Davis (5) during the second half, Wednesday, Jan. 9, 2019 at Allen Fieldhouse. At some point before the season’s conclusion, it was bound to happen. Ochai Agbaji’s uncanny transition from redshirt player to sixth man would hit some turbulence. 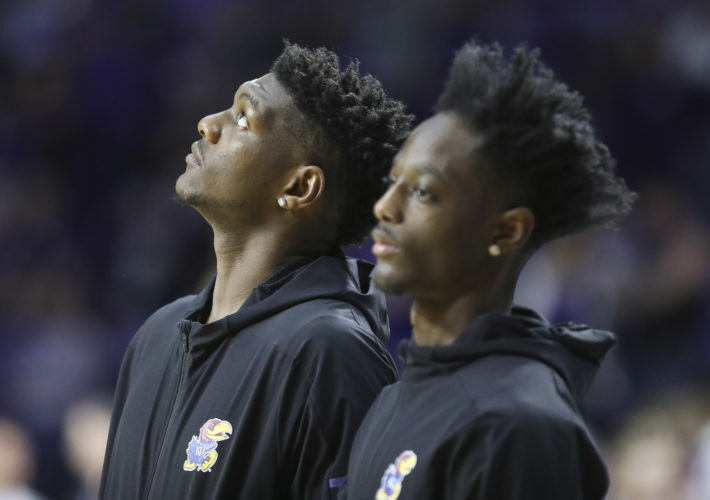 The first jolt to the University of Kansas freshman’s surprisingly smooth assimilation to college basketball came against a program and in a venue known to vex Jayhawks, even those much older and experienced than Agbaji. So, in retrospect, maybe it shouldn’t surprise us that the first-year guard in his second week as an active member of the rotation didn’t handle his first venture into WVU Coliseum as well as he did the matchups presented to him earlier this month. In Agabji’s first three appearances off KU’s bench, the 6-foot-5 guard from Kansas City, Mo., averaged 23.7 minutes, most of them productive, allowing him to enter Saturday’s game at West Virginia averaging 7.0 points and 3.7 rebounds, plus just more than one steal a game. Even more impressive, Agbaji had yet to turn the ball over through his first 71 minutes as a collegiate guard. It’s way too early for Agbaji to hit a freshman wall, but what he encountered against the Mountaineers had to feel just as painful. His afternoon began in promising enough fashion, with his defensive footwork and ability to wall up against a longer player on the block leading to a Wesley Harris turnover. Agbaji’s first offensive possession went off without much of a hitch, too. But the next time KU had the ball, Agbaji was too loose with his dribble as he tried to drive toward the paint from the right wing, and Jordan McCabe easily poked the ball away for a steal. 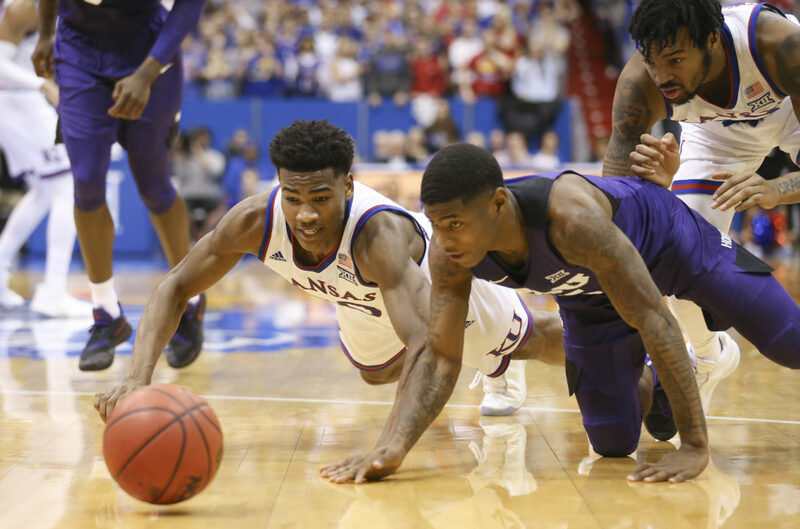 KU’s energetic freshman sub followed that mistake up by snagging a defensive rebound, seemingly a signal that he would tighten things up and recuperate. 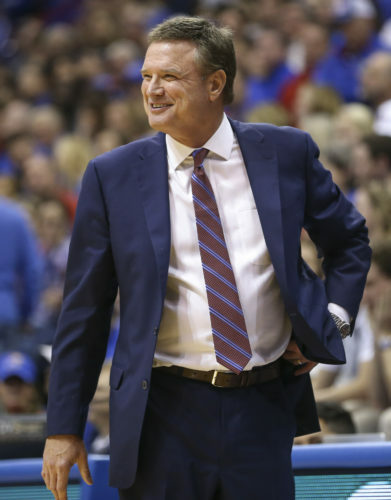 The next couple of minutes, Agbaji blended in without any cause for concern, as the next two possessions brought about a Dedric Lawson turnover versus a triple team inside and a wild foray toward the basket and horrendous transition layup attempt by Charlie Moore. By his third minute on the floor, though, Agbaji had committed another turnover. Upon receiving a pass along the baseline, Agbaji again wasn’t protective of the ball, trying to lob a pass back toward the top of the key. But Lamont West’s long arms were all over that idea, smothering the ill-advised look for another WVU steal. On the sixth and final possession of his first stint off the bench, Agbaji made the type of play he’s quickly become known for, working his way into position to secure an offensive rebound on an errant Marcus Garrett 3-pointer. But Agbaji rushed and missed a potential putback before K.J. Lawson cleaned it up with an offensive board and layup on the other side of the rim. Arguably KU’s most important backup at this juncture of the season, Agbaji logged just under four minutes, entering with WVU up a point and exiting with the margin the same. Nothing that happened during those 3 minutes and 59 seconds inspired Kanas coach Bill Self to give up on his newfound sixth man. But once the freshman returned late in the first half and lost the ball to Esa Ahmad 22 seconds after subbing back in, Self had seen enough. Agbaji was back on the bench in an instant, and didn’t play at all during the second half. 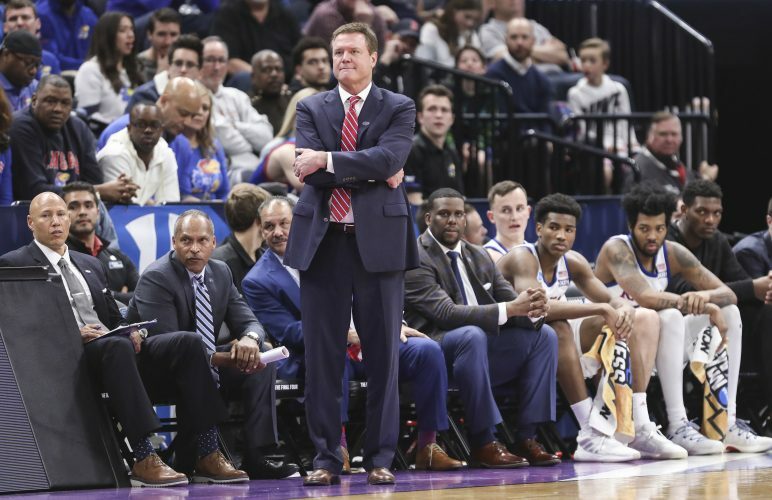 After emerging in KU wins over TCU, Baylor and Texas as a member of Self’s crunch-time lineup, the coach kept Agbaji out of the action for the final 20 minutes. 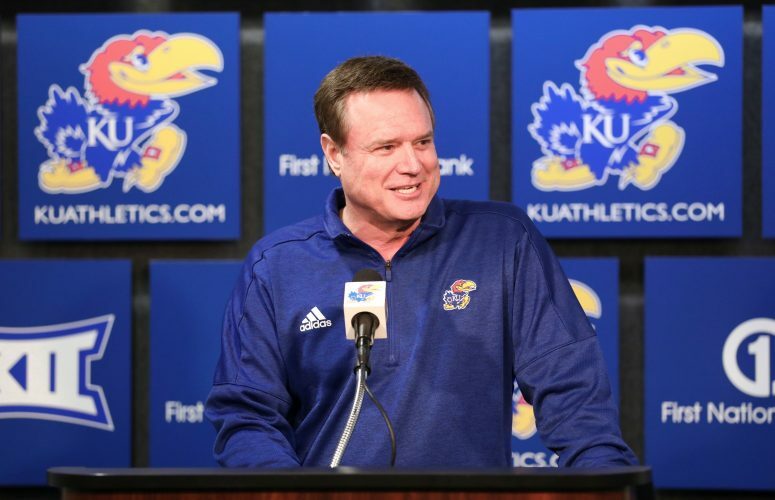 In his 16 years as head coach at Kansas, Self always has been more likely to pull a struggling freshman off the floor than let him play through mistakes. 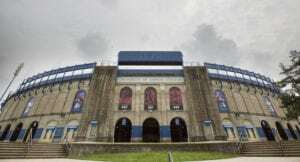 What he saw from Agbaji, though out of character for the young guard, was enough for Self to take preventative measures in a tight game, because KU couldn’t afford to be on the losing end of a turnover-fueled WVU spurt. Despite his limited minutes, Agbaji’s mistakes led to three of WVU’s 11 steals during the Mountaineers’ 65-64 victory. Figuring Agbaji wasn’t himself, Self took a calculated risk, considering the energy the KU sub typically injects. “I thought (Saturday) was the first day he looked like a guy who just came out of a redshirt,” Self said. And another such day is likely somewhere on the horizon as Agbaji learns how brutal the Big 12 schedule can be with that Kansas target on his chest. That doesn’t mean Agbaji has regressed or will see a permanent dip in his playing time. Between his attitude and understanding of his own abilities and limitations, Agbaji is the type of player you expect to follow a subpar outing with a great one. And he’ll get that chance on Big Monday at Allen Fieldhouse, against an Iowa State team that beat the Jayhawks before Self turned to his midseason secret weapon.